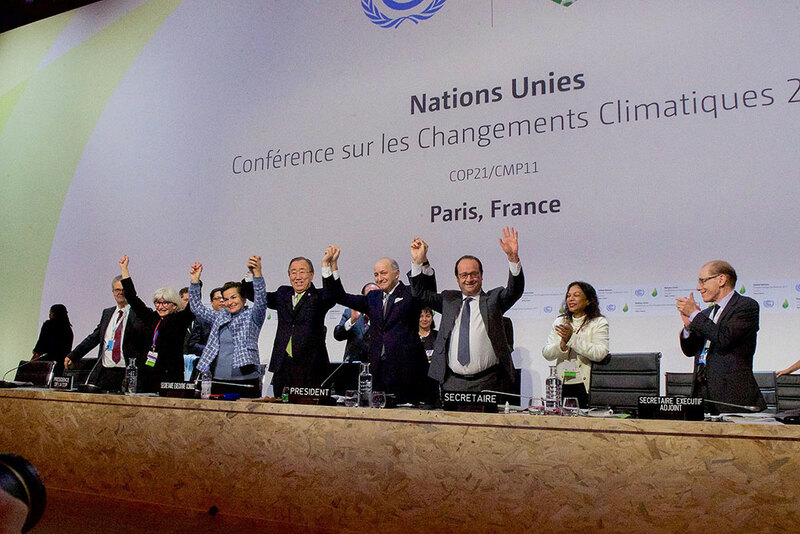 NPQ has written periodically in its nonprofit newswire about and cheered the historic Paris Agreement on climate change, twenty years in the making. The agreement finally entered into force on November 4, 2016. On the day of our elections in the U.S., during the UN (Conference of Parties) COF22 now underway in Marrakech, the UN News Centre wrote this article about the necessity of civil society to play its vital role in helping governments remain faithful to the commitments they made in the agreement. These pledges include specific investments and actions required to achieve a low-carbon future. The UN convened a meeting in New York at the UN Headquarters on November 4th with civil society representatives. Meanwhile, agreement “Champions” established this “agenda” and a consultative process to help civil society actors understand what is entailed in keeping governments and other stakeholders accountable. “In Paris, it was about momentum, enthusiasm and political commitment. Now the question is how we will implement and how we will conduct a race against time,” said Ms. Tubiana during a press conference in Marrakech on about the launch of the Champion’s “Global Climate Action Agenda” to mobilize non-State actors. After China, America is the world’s second largest producer of greenhouse gas. Mr. Trump denies the validity of climate change science. Mr. Trump pledged to withdraw the U.S. from its commitment to the Paris Agreement. Any attempt to withdraw the U.S. commitment to the Paris Agreement would encourage other nations to do the same. Mr. Trump pledged to revive the Keystone Pipeline and open public land for the extraction of oil, coal and natural gas. Mr. Trump pledged to repeal the Clean Power Plan. Mr. Trump’s pledged energy plan would strip energy regulations that presently hinder the production of fossil fuels. President Obama ratified the agreement on behalf of the U.S. in September 2016, binding the nation to abide by its terms. The agreement prohibits withdrawal for three years and requires a one-year notice period before withdrawing. The UN reports that 80 percent of the decisions that went into the ratification of the Paris Agreement were implemented by non-State actors (civil society initiatives and coalitions).